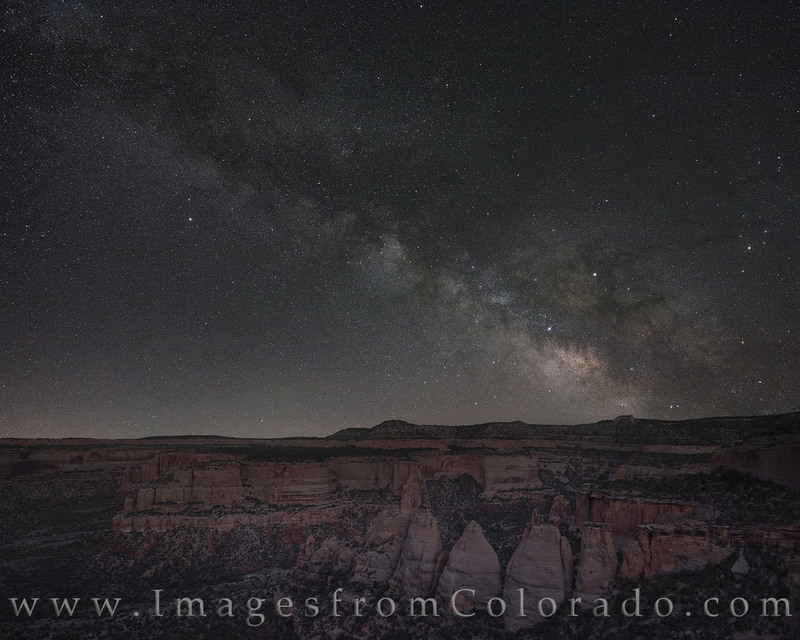 From the Coke Ovens in Colorado National Monument, the Milky Way begins its ascent into the night sky. This Milky Way image is a composite of two individual photographs. First, the Milky Way photograph was taken using a star tracker to allow for a longer exposure and to create sharp and clear stars. The foreground of the Coke Ovens was takn about 45 minutes before sunrise, again using a long exposure, this time long enough for the details of the rocks to show up. The two images were combined to show what our eye can see but the camera cannot capture in a single shot.